How to Stop Funny Auto Correct? 1. 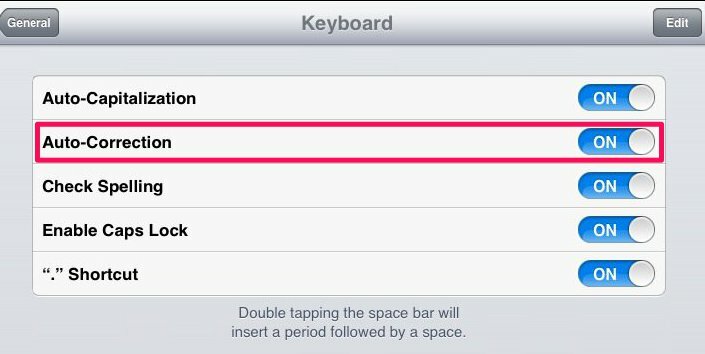 On your iPhone or iPAD, go to Setting, then General. 2. Scroll the right panel to the bottom, tap on Keyboard. 3. You will see a screen like this. Make sure Auto-Correction is set to ON. 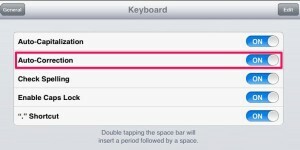 However, if you hate the auto-correction, and don’t want the device auto correct you, this is the place to turn it off. 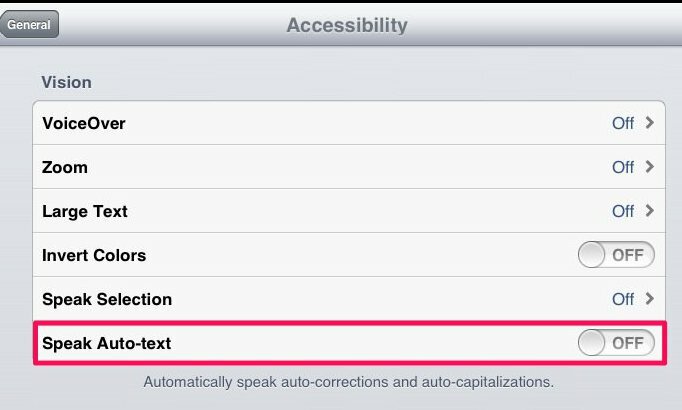 If you like some of the auto-correction, but don’t like some, read on to find out how to minimize the bad corrections. 4. Tap General again to go back to the earlier screen, where you find Keyboard in step 2. 5. Tap Accessibility. You will see a screen like below. Set Speak Auto-text to ON. 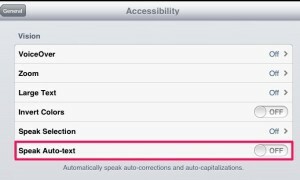 Now whenever the iPhone or iPAD auto-corrects what your type, you will hear it say the corrected word aloud to you. You don’t have to worry about sending out unintentional weird words anymore.